Ken originally became interested in the organizational elements of snowmobiling in 1969 when he attended his first South Dakota Snowmobile Convention. At that time, the South Dakota Snowmobile Association (SDSA) was a fledgling organization. Stewart's first SDSA convention was held in Watertown, South Dakota and lasted just three (3) hours with an attendance of approximately twenty (20) delegates but it was this initial exposure which impressed on him the importance organization would have on snowmobiling. Ken began his organizational efforts on the local club level where he assisted in organizing the first snowmobile club in Redfield, South Dakota where he was elected Vice President that first year. He then became the Club President and also served as Membership Committee Chairman. Ken has attended every SDSA Convention since 1969 and was elected a Director of that organization in 1974. 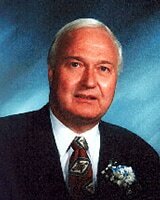 In 1977, he became SDSA's President and the following year served as its Executive Director. He was appointed to the Governor's Advisory Council on Trails. Ken attended his first International Snowmobile Congress (ISC) when it was held in Chicago, Illinois in 1976. He has attended each Congress since and also serves as SDSA's delegate to the Midwest Chapter of the ISC. He also served as Chairman of the committee responsible for organizing the congress when it was held in Rapid City, South Dakota. At the state level, he assisted in the passage of numerous laws beneficial to the sport including: establishment of a state trail fund, a gasoline tax refund, a 3% sales tax levied on new and used sleds as well as a two (2) year registration for in-state resident snowmobiles. All of these sources of revenue benefited a Dedicated Trail Fund. As a result of his involvement at all levels of snowmobiling, Ken has been the recipient of numerous awards recognizing his dedication and leadership. He also has a very impressive collection of over 100 antique snowmobiles. Ken Stewart is a volunteer who enjoys serving the sport of snowmobiling and embodies all of the qualities necessary to be honored as a true Volunteer/Club Organizer for the sport. Jerry began his association with snowmobiling in the mid-60s when be became involved in the racing aspect of the sport, competing both nationally and internationally. 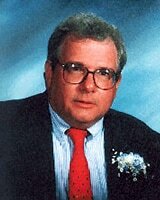 After graduating from the University of New Hampshire, Jerry joined Ziff-Davis Publishing as an associate editor. Then, in 1974, Bassett joined the St. Paul based firm of Webb Publishing Company. There he served as Associate Editor of the original "Snow Goer", "Snow Goer Trade" and "SnoGoer Racing Annual" from 1974 to 1978 and as Editor until 1986. While at Webb Publishing Company, Jerry also edited several ATV, motorcycle and recreational corporations' customer-oriented publications. At that time, Jerry traveled extensively and was involved in many races and rides which promoted the sport of snowmobiling. In 1986, Bassett left Webb Publishing Company and established Recreational Publications, Inc. (RPI) His first publication, "Lake Country Tracks", was a regional, tabloid sized news magazine for Midwestern snowmobilers. The popularity of this publication led to a national news magazine called "American Snowmobiler," which became known for delivering news and reviews in a non-biased, knowledgeable manner. In the early days of RPI, Bassett produced a newsletter for Arctco called "Tales of the Cat". He also began publishing "Polaris Spirit" which is now called "Polaris Pro Spirit." Then, in 1989, Bassett wrote the first of two (2) books for Polaris Industries. "Polaris Pioneers" is a comprehensive history commissioned for Polaris' 35th anniversary. "Polaris Partners", a book on the Company's more recent, post-buyout years was done for Polaris' 40th anniversary celebration in 1994. After his many years in the sport, Bassett recognized the need for a comprehensive guide to snowmobiling. Today, the "American Snowmobiler Source Book" is recognized as "the information standard for the sport". Jerry Bassett's long association with snowmobiling has uniquely qualified him as one to speak out on the issues facing the sport today. 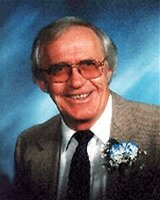 Nominated by the Ontario Federation of Snowmobile Clubs (OFSC), Ross purchased his first sled in 1972. In the years since, he has moved from local club involvement to becoming OFSC Director, Vice President and finally became the organization's President in 1976. He also served a term as provincial Treasurer. Following this he was elected President of the Canadian Council of Snowmobile Organizations (CCSO) and subsequently became its General Manager. Ross has helped shape some of the most momentous years in the history of organized snowmobiling in Ontario as well as Canada. His contribution to the OFSC, its member clubs and volunteers and to the collective future of snowmobiling will be valued and remembered for many years to come. His legacy is that of building the OFSC into a leader in international snowmobiling while CCSO played a key role both in Canadian snowmobiling and in the International Snowmobile Council. More importantly, Ross is a snowmobiler who dedicated himself to improving the sport he loves and enjoys. His illustrious career in organized snowmobiling has assured him of local as well as national and international respect and admiration. Ross has also been actively involved in the charity aspect of the sport. As an organizer and supporter of "Snowarama" which began as a local fundraiser for the Easter Seals, Ross has seen the event grow to a point of raising over $12 million over the past 20 years to benefit the organization and the disabled children it serves. Ross Edmonstone personifies the Volunteer/Organizer aspect of the sport. Ness joined Arctic Enterprises, Inc. in 1966 as Director of Engineering and served on that Company's board as one of their five (5) Directors. Many new Arctic Cat model snowmobiles were made possible by the skills and expertise of Ness. He was also involved in the development and production of several of the famous Arctic Cat "dragsters" which served to enhance the publics' awareness of the sport of snowmobiling. 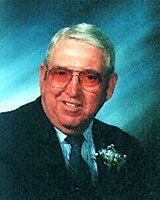 He was a leader in assisting the snowmobile industry's establishment of safety standards for snowmobiles in the late 1960s and early 1970s. The set of rules eventually became the criteria for the present Snowmobile Safety Certification Program which is in effect today. His management skills and contacts with various manufacturers and suppliers were crucial in the formation of Arctco, Inc., manufacturer of Arctic Cat snowmobiles. During his association with both Arctic Enterprises and Arctco, Ness held various management positions including President and Chief Executive Officer of Arctco, Inc. Ness presently serves as a Director of the International Snowmobile Industry Association as well as the National Snowmobile Foundation. In addition to his involvement with Arctco, Inc. and snowmobile-related organizations, Ness presently serves as a director for numerous local, regional and state organizations. He has also garnered numerous awards resulting from his civic activities. In addition to remaining active in civic affairs, he presently manages and operates a 1600 acre grain farm. William G. Ness is an excellent example of the type of management person needed to make snowmobiling the recreational activity and industry it has became today.